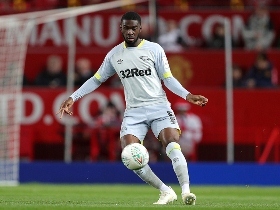 Premier League side Chelsea have said that they will permit Derby County defender Fikayo Tomori to play against his parent club in next Wednesday's Carabao Cup fourth-round fixture at Stamford Bridge. There has been a lot of speculation in the media at home and abroad about the availability of the England U21 star for the game as EFL rules stipulate that players can only feature against their parent club only if they get clearance. Last season, Super Eagles defender Ola Aina and Tomori were prevented from facing Chelsea in the fifth round of the Emirates FA Cup while on loan at Hull City. Former Nigeria international Victor Moses was not eligible to play against Chelsea during his loan spells with West Ham, Stoke City and Liverpool. Tomori has started and gone the distance in the three matches played by the Rams in the League Cup, and was on target against Oldham Athletic in the first round.